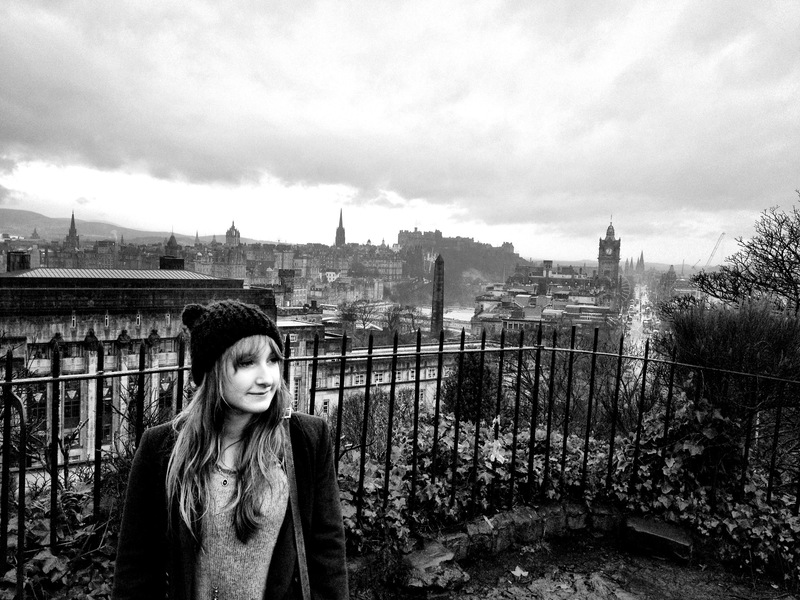 Here we find a picture I took of my lovely lady friend with a wonderful backdrop of the Edinburgh sky line. I don’t often post my random photos on here, but this one is pretty cool. Edinburgh is quite an extraordinary place. From afar, it looks like a scene from a bombed out Eastern European city; but you get deep into the veins, and it’s all kilt shops and funny accents. Quite lovely.